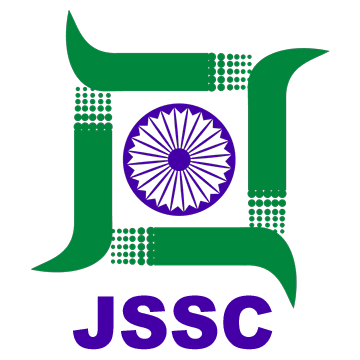 JSSC Recruitment 2019 - Below are various recruitment notifications published by JSSC - Jharkhand Staff Selection Commission / www.jssc.in. As of now, we don't have any active recruitment notification by JSSC featured here. We may update as soon as the organization announces a new job notification. If you are looking for any information related to previously organized recruitment drives by JSSC, you can browse through previous job notifications mentioned below and get the new updates or information you are looking for. Jharkhand Police Recruitment 2019 - Walk-in for 85 Sipahi, Cook, Havildar & Other Posts in Jharkhand Police, Jharkhand on Contract Basis. Candidates are invited by Jharkhand Police to attend walk-in-interview to be held on 18 Feb 2019 at 10:00 AM for 85 vacancies. JSSC Recruitment 2019 - Apply Online for 1012 Special Branch Constable Posts - SBCCE in Jharkhand. Online Applications are invited by JSSC - Jharkhand Staff Selection Commission from 04 Jan 2019 to 18 Feb 2019 for 1012 vacancies. JSSC Recruitment 2018 - Apply Online for 518 Excise Constable Posts - JECCE in Jharkhand. Online Applications are invited by JSSC - Jharkhand Staff Selection Commission from 26 Dec 2018 at 11:00 AM to 09 Feb 2019 till Midnight for 518 vacancies. Jharkhand Police Recruitment 2018 - Interview for 66 Special Police Officer Posts in Jharkhand Police, Jharkhand. Candidates are invited by Jharkhand Police to attend walk-in-interview to be held on 20 Nov 2018 at 10:00 AM for 66 vacancies. JSSC Recruitment 2018 - Apply Online for 84 Vehicle Driver Posts in Jharkhand. Online Applications are invited by JSSC - Jharkhand Staff Selection Commission from 15 Oct 2018 at 11:00 AM to 23 Nov 2018 till Midnight for 84 vacancies. Jharkhand Police Recruitment 2018 - Job notification for 530 Cook, Barber, Dhobi & Other Posts in Jharkhand Police, Jharkhand. Applications are invited by Jharkhand Police on or before 24 Sep 2018 from 10:00 AM to 05:00 PM for 530 vacancies. JSSC Recruitment 2018 - Apply Online for 113 ANM, Pharmacist & Other Posts (JHPCCE 2018) in JSSC, Jharkhand, Ranchi. Applications are invited by JSSC - Jharkhand Staff Selection Commission on or before 30 Aug 2018 til 23:59 PM for 113 vacancies. Jharkhand Police Recruitment 2018 - Job notification for 70 Constable, Naib Subedar, Cook, Hawaldar & Other Posts in Jharkhand Police, Jharkhand on Contract Basis. Applications are invited by Jharkhand Police on or before 17 Jul 2018 for 70 vacancies. Jharkhand Police Recruitment 2018 - Job notification for 43 43 Instructor & Sr Instructor Posts for Ex-Servicemen (JCO & Havaldar) of Jharkhand State. Candidates are invited by Jharkhand Police to attend the interview to be held on 10 May 2018 at 10:00 AM for 43 vacancies. Jharkhand Police Recruitment 2018 - Job notification for 164 Havildar, Sipahi & Other Post under Special Auxiliary Police (SAP) in Jharkhand Police, Jharkhand on Deputation Basis. Applications are invited by Jharkhand Police on or before 04 Apr 2018 and Interview to be held on 04 Apr 2018 and 02 May 2018 at 10:00 AM for 164 vacancies.